Identification L019 and L020 are problematic species in terms of identification. The original DATZ article shows an underwater picture (the fish is actually trying to hide in a shoe!!!) 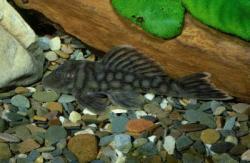 where you only could see the coloration of the fish. However, this coloration belongs to two different species found at the same place in the Xingú, a Baryancistrus species (L019) and an Spectracanthicus species. We don't know which genus the first L020 belonged to. To clarify this for the future, L019 is the Baryancistrus sp. 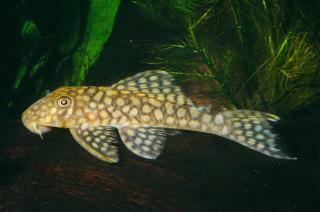 and L020 the Oligancistrus sp. References DATZ 3/1989, pp 173-175. 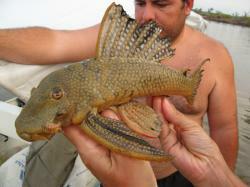 Aqualog shows a species of Hypostomus.